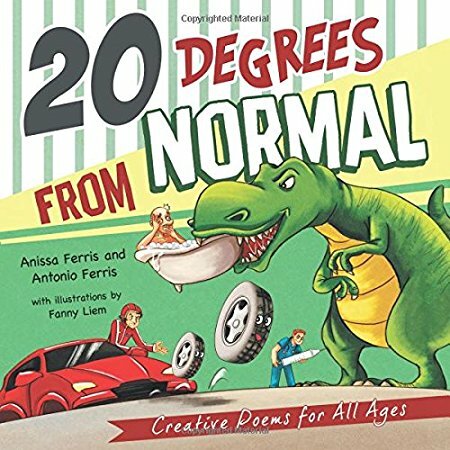 This fun book of poetry was created by a brother and sister team. It isn’t only fun to read but has very subtle messages. The very first poem, “Underappreciated Wheel” had be looking at wheels in a different way. They carry all the weight on bikes, trikes and cars, yet no one ever talks about how wonderful they are. I teach middle school and I am here to say that my students would love this fun rhyming, quirky poetry. I loved “Perfect Friend”. So often we want a “perfect” friend and after finding what we think they are we find that what we had before was much, much more. “Skip” teaches that you have to do some preliminary things to be a success. This book has something for everyone, old and young. I will enjoy adding this to my classroom library next year and providing a copy to our elementary school which will be merging with our school. I highly recommend this book to teachers and parents.